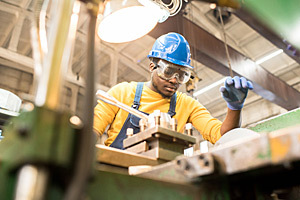 In August, 2018, Northern Tier Regional Planning and Development Commission was approved by the Pennsylvania Department of Labor and Industry’s Apprenticeship and Training Office (ATO) and the Pennsylvania Apprenticeship and Training Council to become a sponsor of Registered Apprenticeship programs. We currently have a Registered Apprenticeship (RA) Machinist program and are enlisting employers to join our consortium. This is a non-union joint sponsorship program. Apprenticeships are job driven training. It is an “earn and learn” model – apprentices start working and earning wages from the first day on the job. RA is a combination of on-the-job training and related technical instruction. 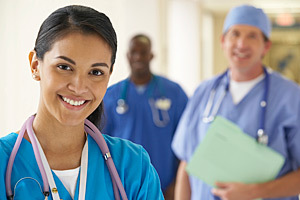 Workers learn both the theory and application of a highly skilled occupation. Many students benefit from traditional college programs, however, there are many other options that can lead to good salaries and meaningful careers. Many current job openings require skills somewhere between a high school credential and a 4-year degree to get started. Registered Apprenticeship is one of these opportunities. Since the Establishment of the Pennsylvania’s first Apprenticeship and Training Office (ATO) in 2016, the number of apprentices in PA has increased 26% and now stands at near 17,000. Northern Tier Regional Planning and Development Commission is working to expand Registered Apprenticeship in the Northern Tier Region. We will work with employers to develop their own RA programs and have knowledge of various funding sources that could assist with training costs. © 2013 Northern Tier Regional Planning & Development Commission. All rights reserved.